Sir Alfred Gilbert, often referred to as the ‘leading British sculptor of his generation’ was the most prominent member of the art movement identified as the New Sculptors. His most widely known work is Shaftesbury Memorial, popularly referred to as ‘Eros’, located in Piccadilly Circus, London. 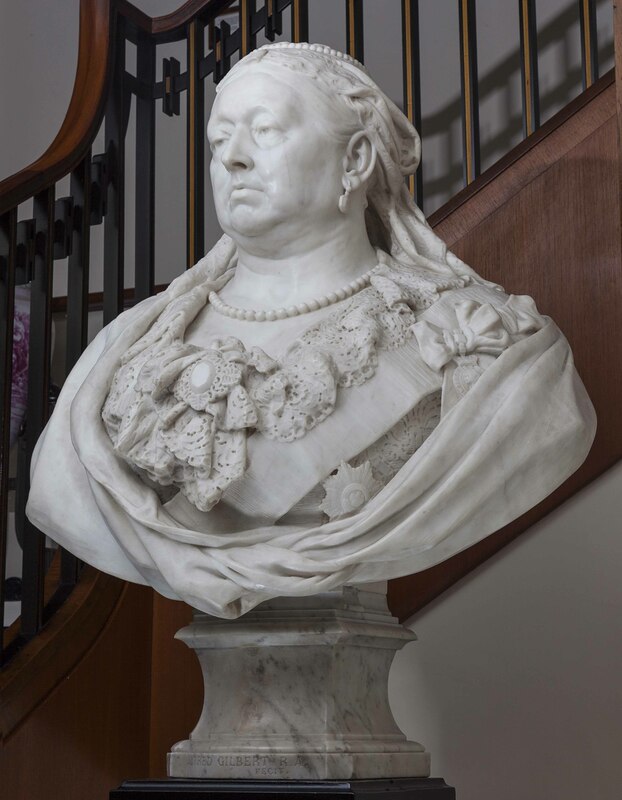 Sir Alfred produced arguably the most impressive and sensitive portrait ever made of the iconic Queen Victoria; in the form of a white marble bust. It is a pivotal work in the development of British sculpture at the end of the nineteenth century and is entirely carved by Gilbert. It is the only surviving marble by Gilbert in the UK. 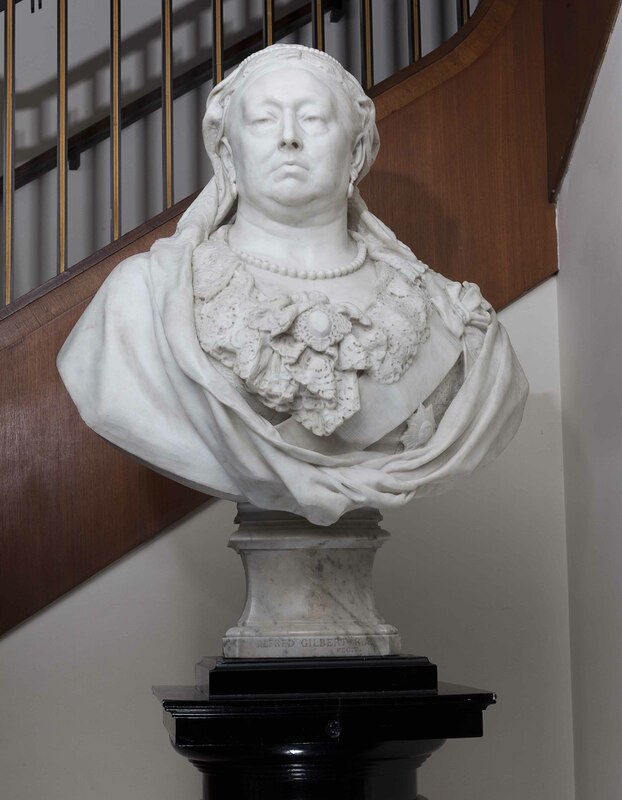 All of the contours and folds of the elderly Victoria’s face and neck are accurately reproduced. Her textile headdress, lace collar and the drapery of her sash and dress are just as precisely modelled, as is her jewellery.